I recently received my first trade package of 2014 and it was sent from Twitch a.k.a. Lonestarr of the Life and Baseball Cards blog. 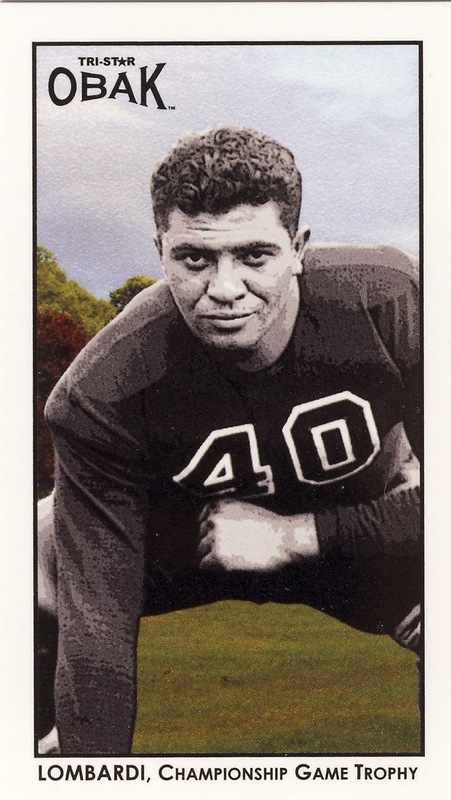 If you don't know, he collects Cubs and Bears and so it must make him a little happy to unload these Green Bay Packers cards including a mini of the coach with the most NFL championships, Vince Lombardi. 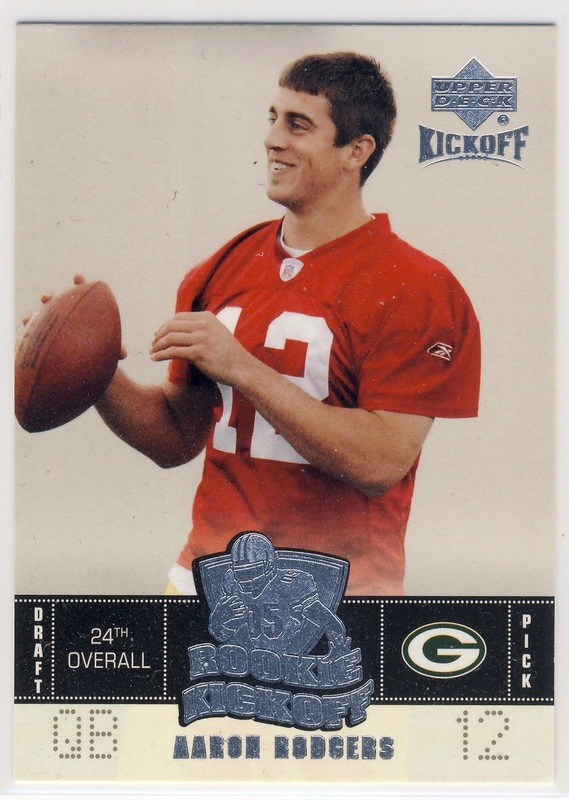 He also included two rookies I didn't have yet including this great Aaron Rodgers rookie and a Clay Matthews rookie from 2009 Bowman. 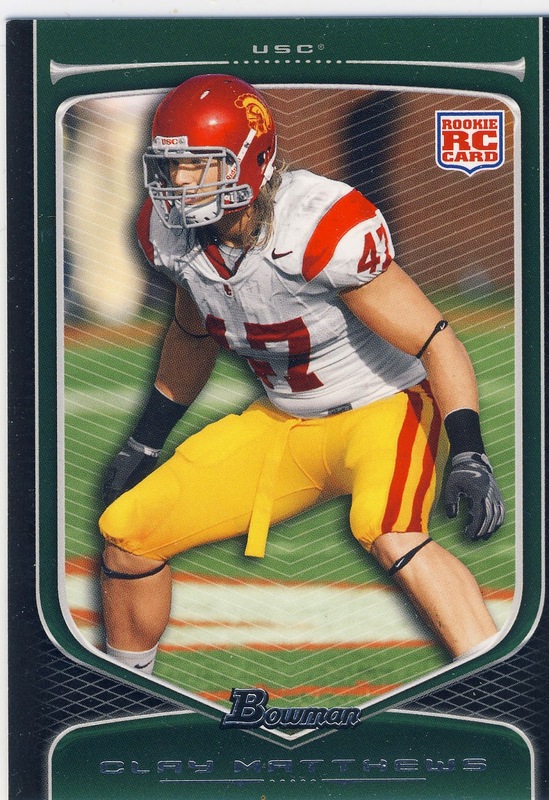 Along with the mini Lombardi, Twitch's cards included a couple of smaller sized Packers stickers from Panini's 2013 set. 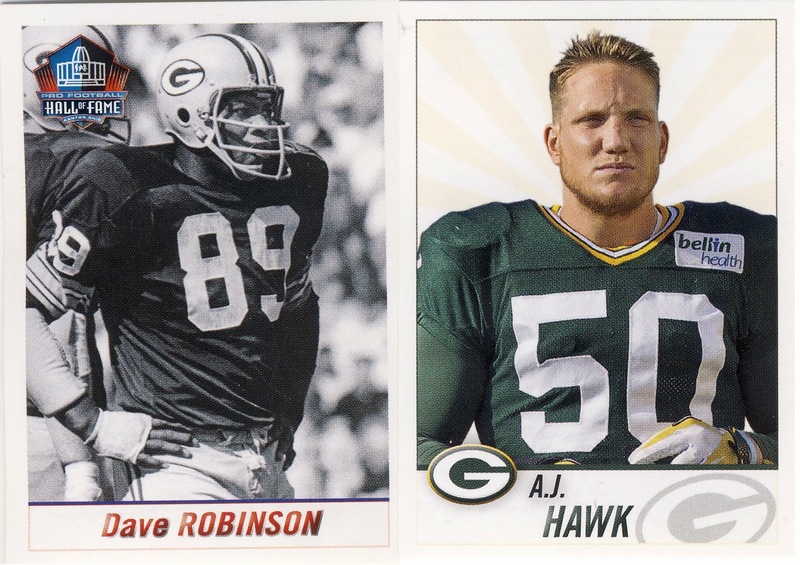 For the unfamiliar Dave Robinson was the Packers linebacker during their Super Bowl I and II victories much like A.J. Hawk was during Super Bowl XLV. 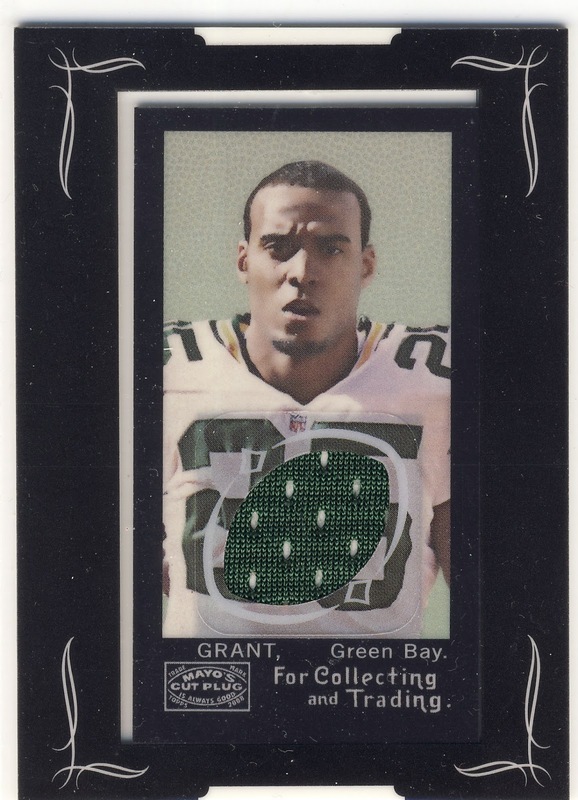 As a surprise bonus was this Ryan Grant jersey from Topps short-lived Mayo series. That set might best be remember as at first having the first Joe Paterno autograph and then not actually having any Joe Paterno autograph at all. At the time it was an embarrassment for Topps but just three years later I think it might have been one of the most controversial cards Topps would have ever made. Twitch sent me a lot of other great cards and I'll highlight those in Part 2 which will be coming soon. Ya know, as a Packers fan and a card collector, I'm a bit surprised at myself for not having more than just a couple of Favre RCs and relics. I really should start a collection. 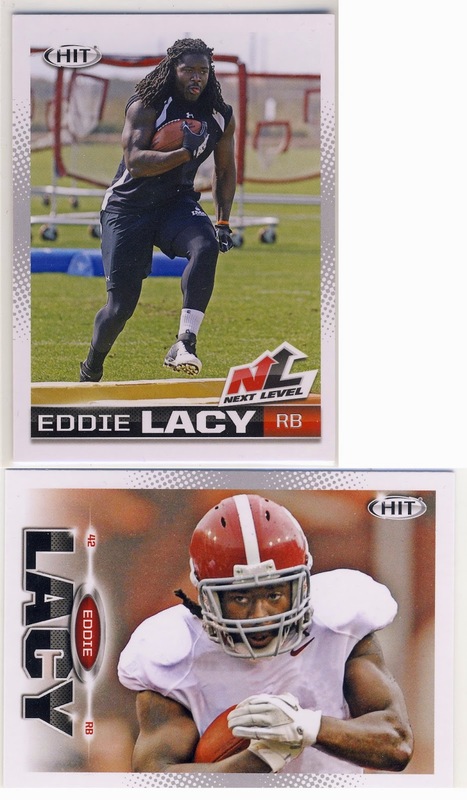 An Eddie Lacy RC AU sounds like a good place to start. Nice haul on the trade!